Stop by here to make your all-important dining reservations for your stay at DLP. This desk has not been used in a long time. 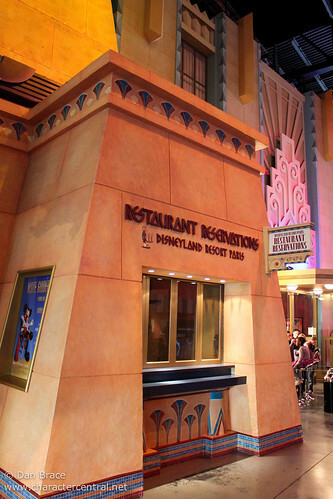 For all dining reservations you can visit any Disney Hotel concierge, or guest relations location at the theme parks. You can also call +33 1 60 30 40 50 to make your reservations 30 days in advance.